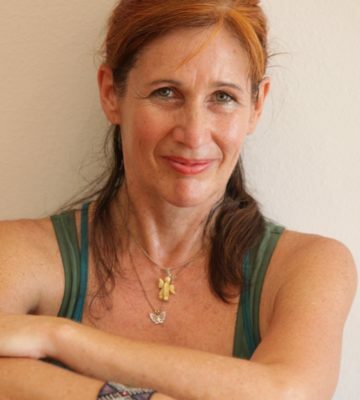 Eva (Frankfurt, Germany) has been teaching dance for over 20 years exploring the connection between body, mind & spirit. She has studied Continuum with Emily Conrad & S. Harper and Body-Mind Centering® with Bonnie Bainbridge, Lisa Schmidt and F. Tröscher. Wave Continuum is a deep movement exploration that will lead you way beyond surface movement. It is a mystic journey, a prayer of the soul, a remembering of deep meaningful places that lie beyond words but that will open the heart. Wave Continuum guides you on an inner journey to remind your system of its watery origin in the ocean where life sprang forth, working with a set of specific breaths and circular patterns. With easy, wave-like movements you will be able to stimulate fluids, neurological growth and support health and creativity. With sounding, breath and undulating movement we dive deep into our movement meditation creating a dreamtime continuum that opens hearts and may make you swim in your own loving joyful waters of creation.